Welcome back to Blogmas day seven, I am really enjoying blogging about Christmas and all things festive this month. Today I wanted to share with you some ideas I found on Pinterest that I would like to try make for Christmas day to take to my Moms. I found so many cute ideas but these are just a few that I thought we all could try. I love ginger bread, its so tasty and nothing beats it at Christmas. I love making it all year round but this year we want to make a full ginger bread house. You can have all the fun in the world trying to decorate them to suit you. I want to try make some to give as a gift this year all done up in a jar. You can find some templates online or you can pick up some cheap cookie cutters online. I found some in TKmax a couple days ago that I might need to go back for. I want to be able to try make the Christmas pine cones, all you need is some Nutella, peanut butter, icing sugar and cereal. Here is the recipe if you fancy making these this Christmas, you could add in a little scene with some decorations. This could be a great center piece for pudding if you are in charge of the desert. The strawberry father Christmas idea is super easy yet so effective, with cream as the face and buttons. They would be so cute to do during desert or as snacks on Christmas eve. I might have to try the little ginger bread house on the side of the mugs, they would be awesome with some hot chocolate on Christmas eve. They are super cute and such a great idea if you are wanting to make something different. 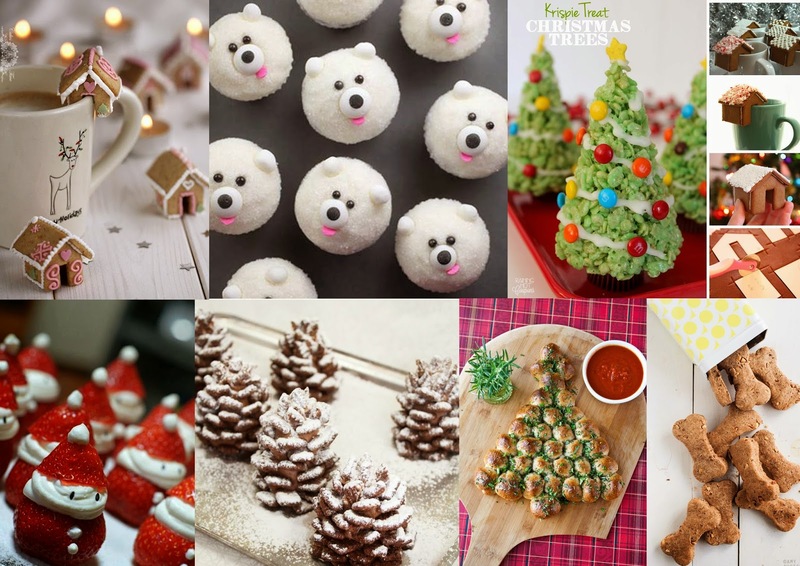 Pinterest has so many amazing ideas this Christmas, from DIY to recipes. these are only a few I found so head over to see what you can find to make. I found some recipes for dogs too, you can make some great treats for them too. Which recipe are you wanting to try?